As a precocious young girl, Surekha knew very little about the details of her mother Amma’s unusual past and that of Babu, her mysterious and sometimes absent father. The tense, uncertain family life created by her parents’ distant and fractious marriage and their separate ambitions informs her every action and emotion. Then one evening, in a moment of uncharacteristic transparency and vulnerability, Amma tells Surekha and her older sister Didi of the family tragedy that changed the course of her life. Finally, her daughters begin to understand the source of their mother’s deep commitment to the Indian nationalist movement and her seemingly unending willingness to sacrifice in the name of that pursuit. 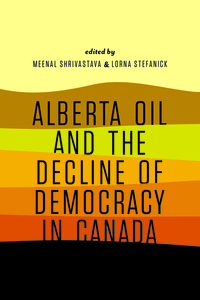 Meenal Shrivastava is professor of political economy and global studies at Athabasca University.